This is a public talk by Dr. Victor Hori at the Fo Guans Shan Temple of Toronto. 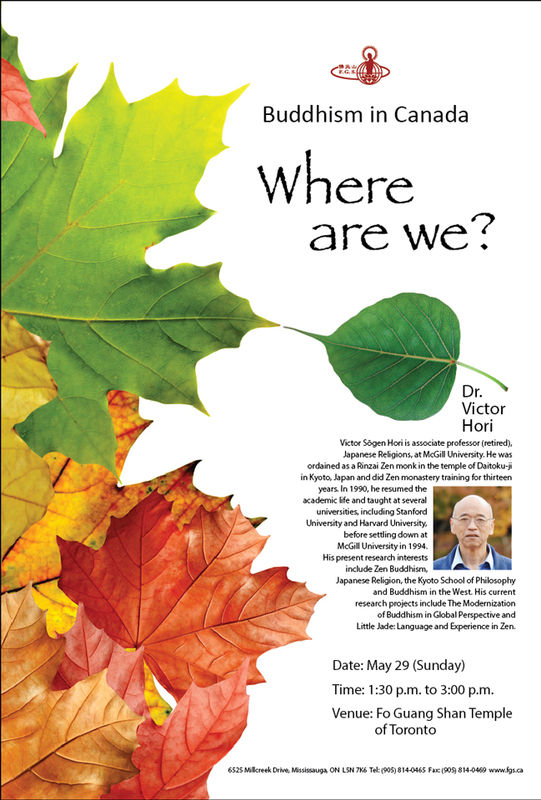 Victor Sōgen Hori is Associate Professor (retired) of Japanese Religions at McGill University. He was ordained as a Rinzai Zen monk in the temple of Daitoku-ji in Kyoto, Japan and did Zen monastery training for thirteen years. In 1990, he resumed the academic life and taught at several universities, including Stanford University and Harvard University, before settling down at McGill University in 1994. His present research interests include Zen Buddhism, Japanese Religion, the Kyoto School of Philosophy and Buddhism in the West. His current research projects include The Modernization of Buddhism in Global Perspective and Little Jade: Language and Experience in Zen.